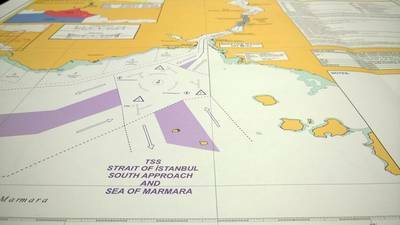 The United Kingdom Hydrographic Office (UKHO) is launching two new Mariners’ Routeing Guides covering the Turkish Straits, providing Routeing information for the area between the Aegean Sea, the Sea of Marmara and the Black Sea. The two new guides were published on 13 February 2014 and are the latest additions to the UKHO’s growing portfolio of Mariners’ Routeing Guides. With over 100,000 vessel movements every year, the Turkish Straits are a busy and important shipping gateway between Europe and Asia, via the Strait of Istanbul and the Strait of Canakkale. The two new Mariners’ Routeing Guides from the UKHO provide quick and easy access to the essential information required by seafarers for accurate and safe passage planning when transiting through these two narrow passageways. Bringing together key route planning information into one chart, the two new guides give an easy overview of one of the world’s most complex and congested shipping areas. The guides contain advice and recommendations for passage planning and highlight visual details of traffic separation schemes and routeing measures. This information will help users ensure they plan the most safe and efficient voyages through these congested areas, whilst meeting all reporting requirements and complying with regulations. 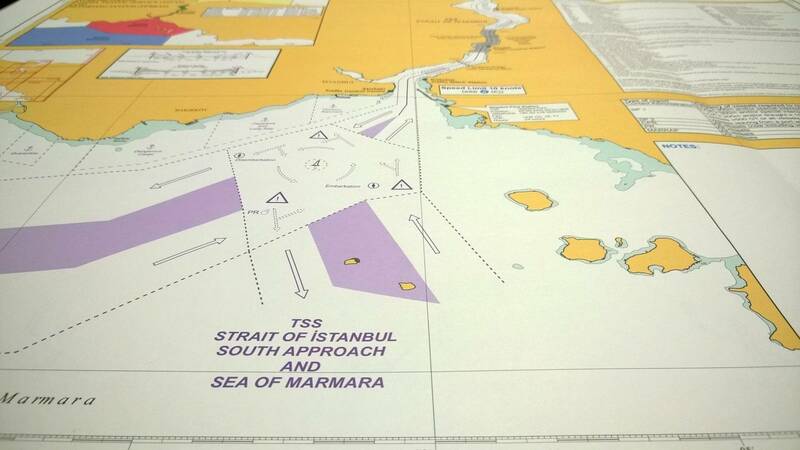 Providing guidance and passage planning information on the world’s busiest shipping straits, the existing range of Mariners’ Routeing Guides cover the English Channel and Dover Strait, the Baltic Sea, the Gulf of Suez, and the Malacca and Singapore Straits.